The Angling Trust has called on the government to give sea angling a fair deal ahead of the publication of a white paper setting out proposals for a new UK fisheries bill. In a briefing sent to the Fisheries Minister, George Eustice, the Trust has urged the government to follow the example of other countries and recognise the potential of developing world-class recreational fishing in the UK now that the country will no longer be constrained by the EU Common Fisheries Policy. Approximately one million members of the public spend well over £2bn annually on sea angling in the UK, supporting tens of thousands of livelihoods, many in deprived coastal communities. English sea anglers pay as much into the Treasury as the entire value of English commercial fishing landings, for which they receive no acknowledgement or proper consideration in terms of resource allocation. The Trust wants to see management objectives, or recreational fishery development goals, which support and grow recreational angling. An example of this from overseas is in the USA where recreational fishing for striped bass has been allowed to thrive as the major stakeholder in the fishery and is now valued at a staggering $6.5bn supporting an estimated 63,000 jobs. Measures designed to support and develop angling, such as the restored presence and abundance of the UK’s inshore fish stocks, with naturally occurring age structures, including mature, adult, fish would motivate the angling public to fish more often and spend more money supporting coastal communities and businesses throughout the UK. The government’s objective of fishing at ‘maximum sustainable yield’ isn’t, on its own, a suitable objective for stocks most valuable to members of the public fishing with rod and line. 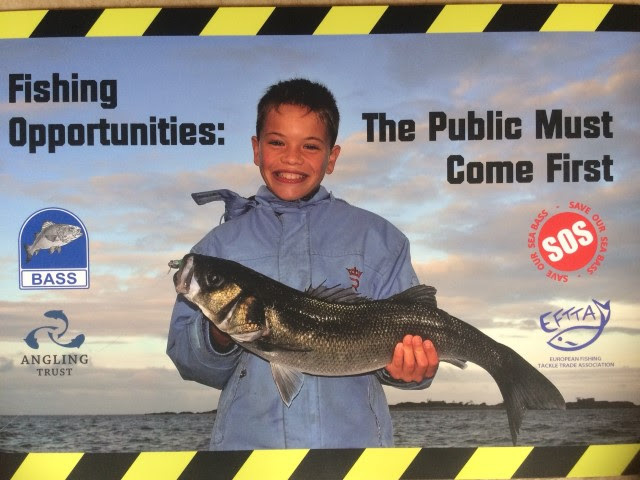 Despite the evidence of the importance of recreational fishing to people, communities and the economy, Defra still focuses its efforts on managing stocks wholly for commercial fishing, excluding the recreational sea angling sector from participating equitably in the process of formulating management policy or management measures. Recreational angling nearly always gets overlooked in government policies about marine fisheries. In a number of recommendations, the Trust is calling on the government to recognise the public’s right to access publicly-owned fish stocks and to allocate fishing opportunities based on the social, economic and environmental benefits to society, based on the principle of ‘optimal utilisation’. Evidence already exists that for some stocks members of the public fishing recreationally delivers the optimal use of the resource generating the highest economic and employment benefits and contributing the lowest biological impact on stocks. This evidence now needs to be acted on and turned into policy so that the government’s objectives of leaving the environment in a better condition for the next generation and regenerating coastal communities can be delivered.